Students usually find themselves torn in between their assignments and other responsibilities. The increasing number of online academic assistance companies however provides a relief to several students, allowing them to pursue their educational goals, while attending to other activities. There are various reasons why students should consider using academic writing services. This paper will discuss some of the reasons why students should consider using academic writing services and the benefits they get from using such services from the writing companies. In the times when education is more concerned on tests rather than the student’s ability, knowledge and skills, assignments can overpower a student. It may not be possible for a student to handle all the assignments in their course, study for exams and other assessments. It is therefore a good move to seek the services of writing assistance to be able to finish some assignments and have enough time to study for future exams. Normally, students feel that they are able to handle their assignments before the set deadline. However, things are not always as they appear. Students may find themselves occupied in other activities that were unintended; taking considerable time that otherwise would have been utilized completing assignments. When students realize they are not in a position to handle their assignments within the remaining period, they may consider using academic writing services, where professional writers can handle their essays and research papers within the shortest period possible. 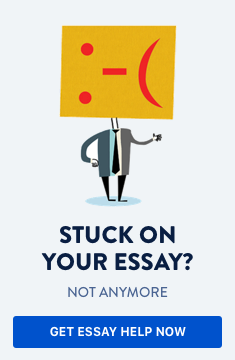 This can save students from failing their course for not being able to submit their assignments on time. Students may sometimes be faced with the challenge of handling some assignments due to their complexity. In such instances, the student can seek the services of an academic writing company where they can get their paper written, and they can use this paper as a guide to writing their own assignment. In addition, a student my request for the parts of the assignment they need assistance on and can complete the rest on their own. For instance, a student may write the preliminaries of the assignment and seek assistance for the main paper, which may be challenging to them. The flexibility that is offered by custom writing companies is suitable and can help students choose the services they desire to be provided with. These services include editing services where a student can have his or her paper polished to earn a good grade. In addition, the companies offer proofreading services that can be useful for students who have problems with English grammar and syntax, such as students who take English as a second language. This can enable such students score good grades in their assignments. Students can benefit from using academic writing services due to their ability to offer original work. Once a student orders a paper with these companies, the work is completed with originality and the right of ownership is transferred to the student. The student can therefore submit the complete assignment as their own work without worry of plagiarism. Besides, the company cannot resell this assignment to any other student even in the future. Assignments are part of every student’s life. Balancing between school work and other activities place students at a dilemma and most of them find themselves unable to complete their assignments in good time. In addition, some assignments are too complex for a student to handle on their own without assistance. This may lead a student to consider the services of a writing assistance company to help the student with their paper. The diversity of services offered by these companies and the originality of the papers completed are some of the benefits that students get from academic writing services.